A natural wonder, hardwood flooring has long been associated with strength, luxury, and endurance. Hardwood flooring is as highly coveted today as it was a century ago, with more choices than ever before: engineered, solid, wide-planked, residential, commercial, finished, unfinished, and so much more. You’ll find it all right here at Coastal Carpet One Floor & Home. The decision to install natural hardwood flooring can often represent a significant upfront investment. Hardwood flooring can last for generations, offering ongoing value as the years pass, provided it is properly placed and maintained. Our expert hardwood specialists can help you determine which flooring is right for you and your unique space. The species of wood you select will go a long way to determine your floor’s shade, grain pattern, and hardness. Fortunately for all of us, there are as many flooring options as there are trees in the forest. Those with traditional tastes might prefer tried-and-true classics such as oak and pine, while those who are more on the cutting edge might like mahogany, cork, or bamboo. There are really no right or wrong choices: keep in mind, however, that wood species have varying levels of hardness. Solid hardwood is hardwood flooring in its traditional form, with individual planks made using a solid chunk of wood. Solid hardwood is considered by many to be the ultimate flooring, since it has incredible staying power and is truly timeless. It can be refinished repeatedly. Solid hardwood tends to be pricier and it isn’t a good match for spaces that are below grade. Engineered hardwood is hardwood flooring, revamped. While made entirely of wood, engineered hardwood is crafted in layers instead of one solid piece. It is denser and often, less pricey. Engineered hardwood is also more water resistant, in general, since it usually has an absorbent core. At Coastal Carpet One Floor & Home, we have an extensive inventory that includes all the latest in solid and engineered hardwood flooring products. 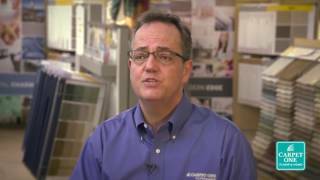 As part of Carpet One Floor & Home, which is the continent’s largest cooperative of independent flooring stores, we boast the buying power of nearly a thousand other stores and highly competitive pricing. Visit our Destin, FL showroom today and explore the world of hardwood flooring. Hardwood can add value to your home, but you want to make sure you're making the right choice. We'll help you make the right selection. If properly maintained, hardwood flooring can last for a long time in your home. Learn about hardwood maintenance.